The model - first announced on this site on 19th December 2009, this model was released soon after. 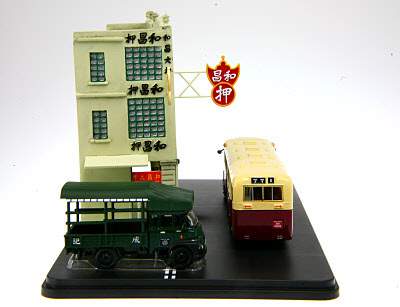 It is assumed that the model is based on the ABC casting, the last of which was released in May 2001. 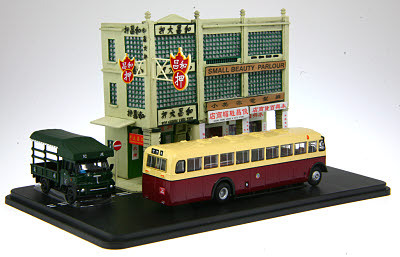 The model comes with a green version of the recently released Leyland FG lorry (see News 4th December 2009) and a diorama featuring the Woo Cheong Pawn Shop (see information below). The bus - to cater for the ever-increasing number of passengers, CMB ordered, in 1963, ten Guy Arab V single-deck buses, featuring only 29 seats, but with a standing capacity of 50! 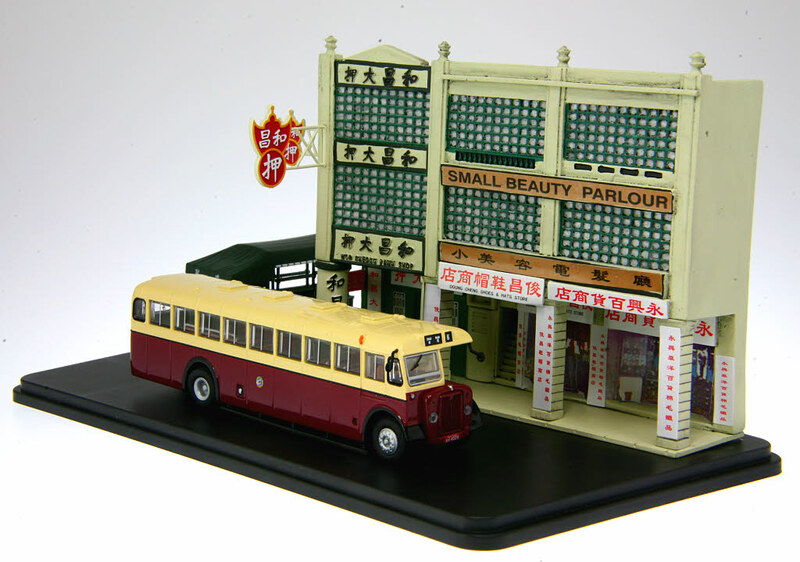 The first standee bus? 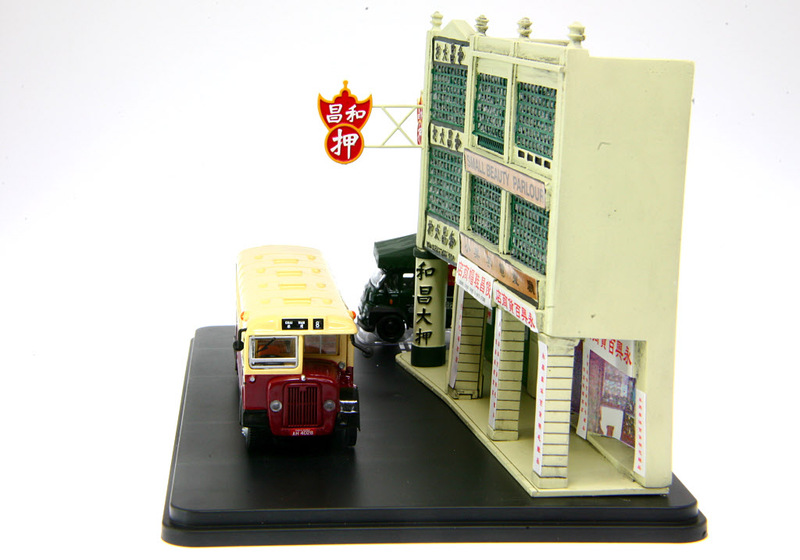 They were 35ft 9in in length, having a 22ft wheelbase and rear overhang of over 10ft. 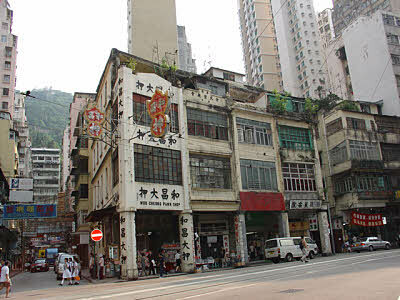 This long low appearance gave them the nickname 'The Long Dragons'. Their introduction was delayed owing to the Government having concerns over their size and manoeuvrability, and their initial refusal to grant a licence for the prototype, however, undeterred, CMB ordered a further ten such vehicles! 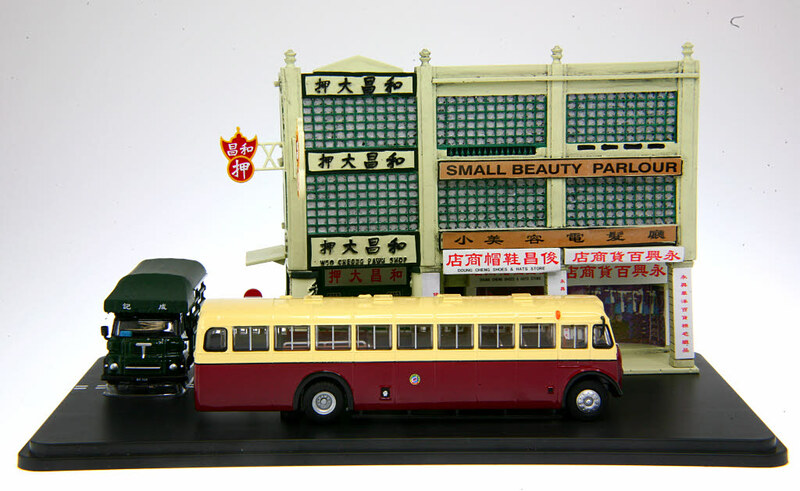 As mentioned above, the diorama featured in this set is meant to represent a four bay/four storey building located at 60-66 Johnstone Road. 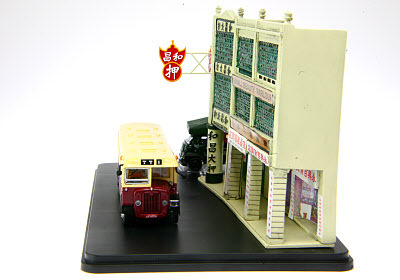 It included the Woo Cheong Pawn Shop (No.66). 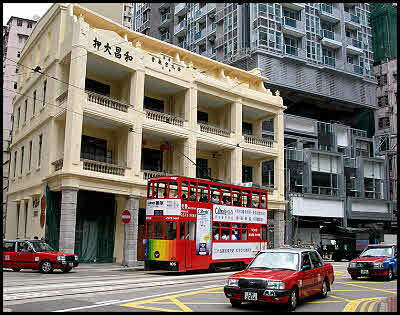 The building is believed to have been built in 1888. 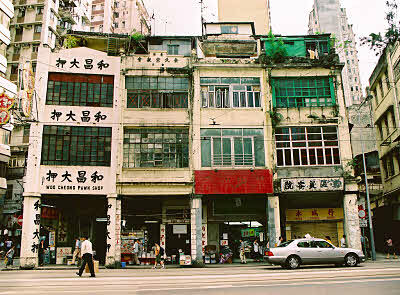 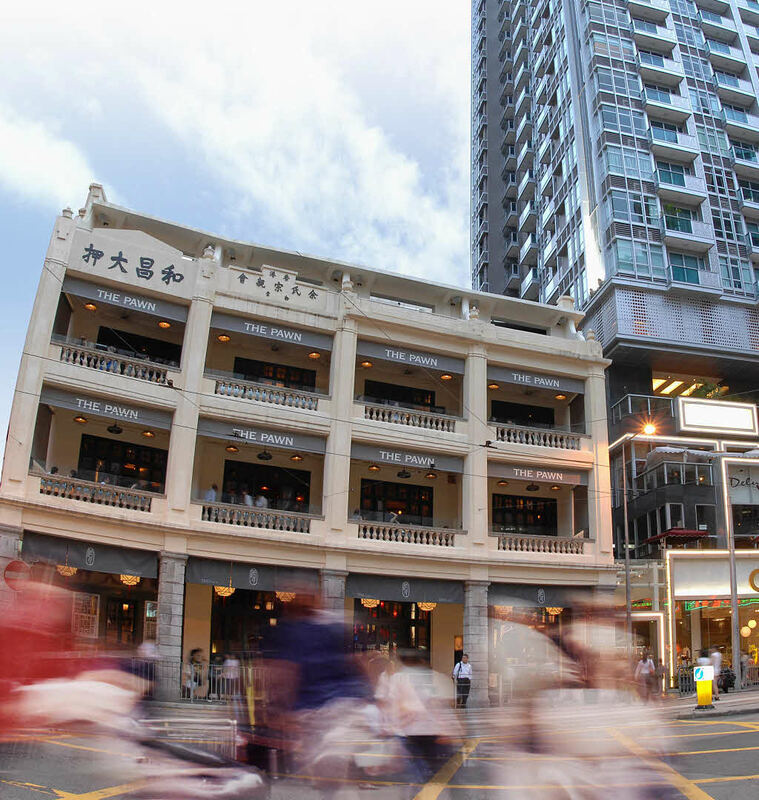 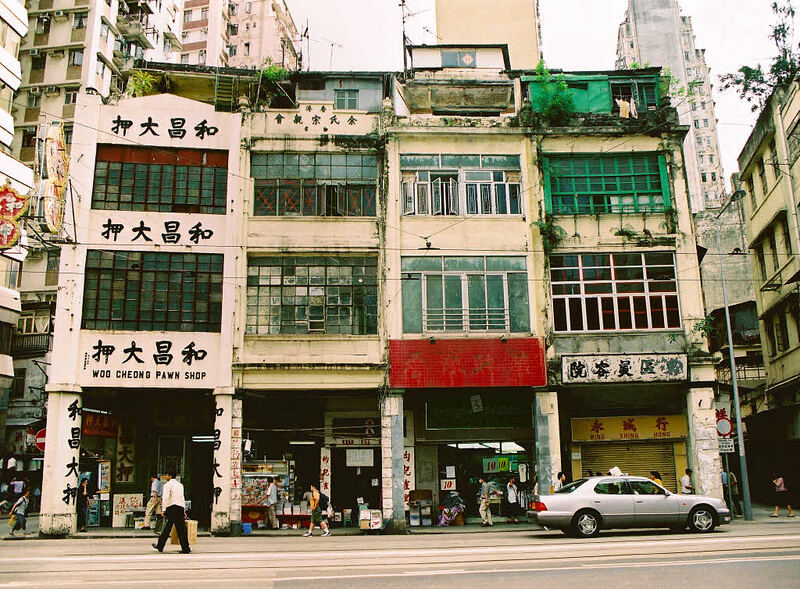 My special thanks to Andrew Orme , Philip Chan and Hong Kong's Urban Renewal Authority for allowing me to use their excellent photographs which show the building in 2003, prior to undergoing major renovation work, during the renovation work, and as it is now known, The Pawn. Further details of this building can be found at the Urban Renewal Authority's website.